August is Happiness Happens Month, a month to celebrate happiness and all the things that make us happy. 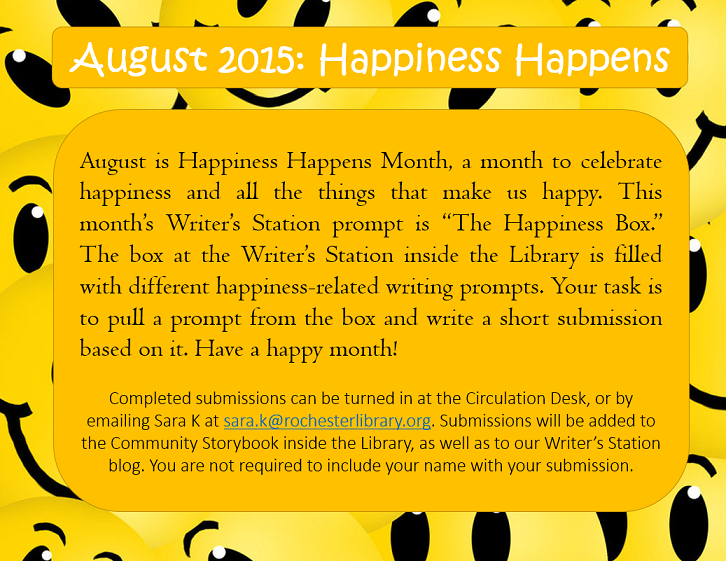 This month’s Writer’s Station prompt is “The Happiness Box.” The box at the Writer’s Station inside the Library is filled with different happiness-related writing prompts. Your task is to pull a prompt from the box and write a short submission based on it. Have a happy month!